RIP Steely Dan’s Walter Becker, 1950-2017 - Utter Buzz! Multiple reports have stated Steely Dan co-founder Walter Becker has died, 1950-2017. According to his official website, Becker passed away early September 3rd, 2017. Becker formed Steely Dan in the early 1970s with Donald Fagen. The two had met while attending Bard College in upstate New York in the 1960s and bonded over their mutual love of jazz. They performed in several different ensembles together, including one named the Leather Canary that featured a young Chevy Chase on drums. 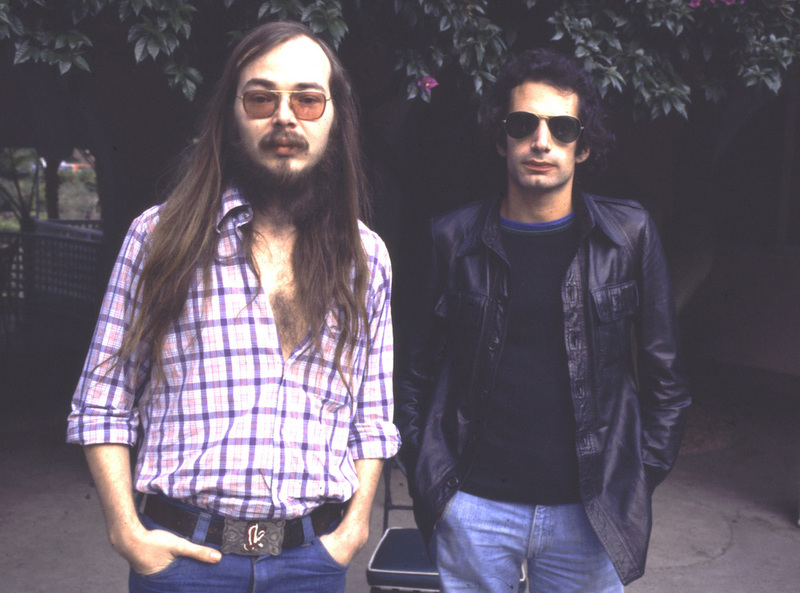 Steely Dan became one of the biggest jazz-rock fusion bands of the 1970s before breaking up in 1980. The group reformed in 1993, with Becker and Fagen the only two consistent members of the band. Along with Steely Dan’s discography, Becker had released two solo albums, 1994’s 11 Tracks of Whack and 2008’s Circus Money. While primarily a guitarist, Becker took over singing duties while on tour with the later incarnation of Steely Dan, as well as recording “Slang of Ages” on their follow-up to their Grammy-winning comeback album Two Against Nature, called Everything Must Go, in 2003. He could be seen lending vocals to “Daddy Don’t Live in That New York City No More” from Katy Lied and performing a unique stream-of-consciousness monologue during “Hey Nineteen” from their 1980 effort, Gaucho, in recent years. Becker had been recovering from an unspecified procedure and was slated to go out on tour with Steely Dan later in the year. “Walter Becker was my friend, my writing partner and my bandmate since we met as students at Bard College in 1967. We started writing nutty little tunes on an upright piano in a small sitting room in the lobby of Ward Manor, a mouldering old mansion on the Hudson River that the college used as a dorm. Read Kelly D’s recent review of Donald Fagen & the Nightflyers’ concert at the Capitol Theatre HERE. The post RIP Steely Dan’s Walter Becker, 1950-2017 appeared first on Live Music News and Review.